The HP4 RACE is more than the sum of its parts. 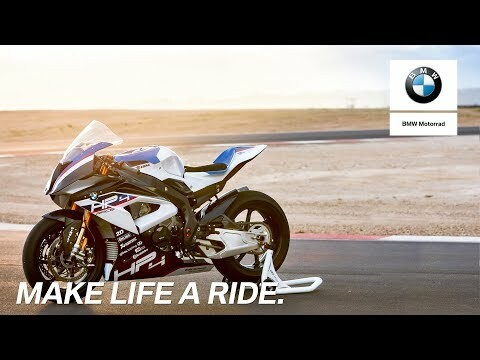 This bike is pure emotion. 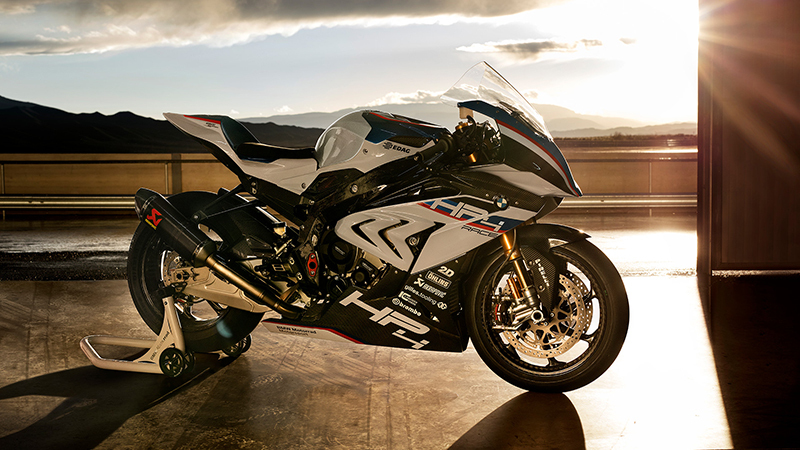 From the development right up to the racetrack, passion is what has made this race bike what it is-an innovation driver designed to push the limits. 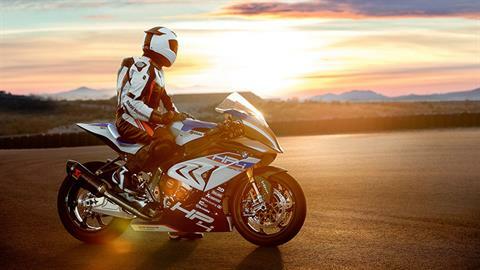 The HP bike is the first motorcycle in the world to offer a fully carbon frame and fully carbon wheels. With 215 hp (158 kW), it weighs just 322 lb. (dry weight). A handmade dream come true for 750 enthusiasts. 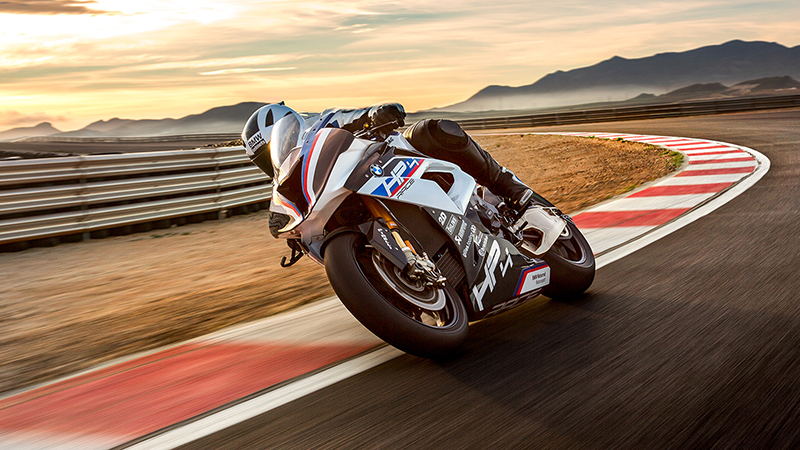 PURE PERFORMANCE 750 TIMES OVER: The HP4 RACE is a masterpiece of engineering prowess. 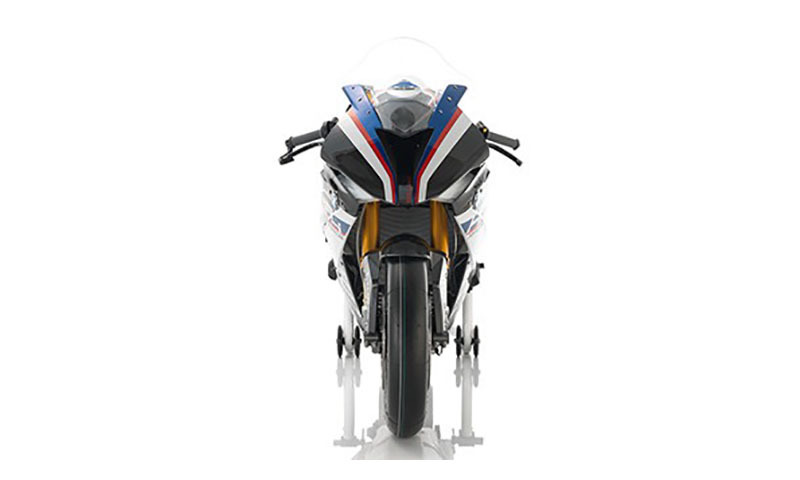 Each and every one of the 750 limited-edition racing machines was handmade by our specialists and fitted with a numbered plaque. This is for those who have no limits and always go further. We only produce this kind of concentrated passion for those who share it. 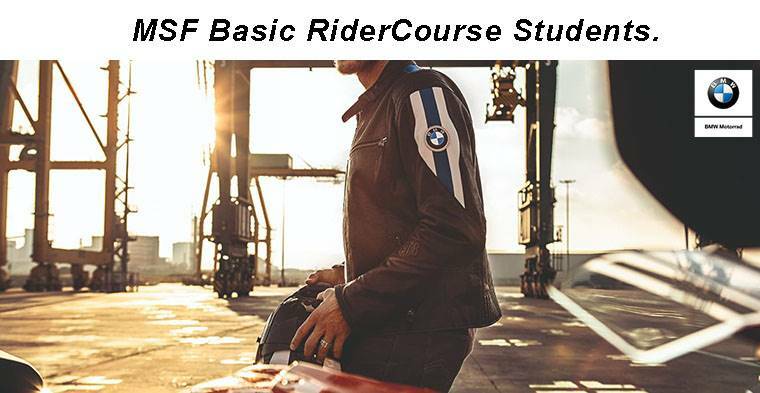 This is reserved for frontier crossers whose requirements are not only satisfied by the HP4 RACE, but have to redefine their requirements. There are only a few like this. More precisely: seven hundred and fifty. 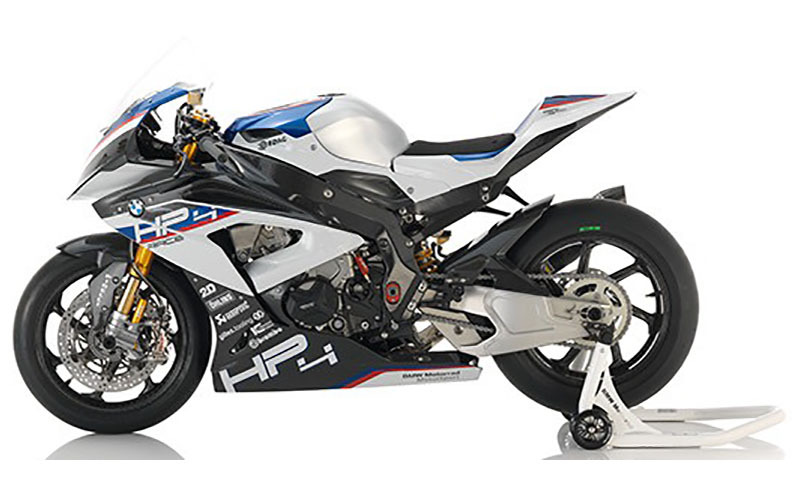 NEW BENCHMARK IN LIGHTWEIGHT CONSTRUCTION: The frame of the HP4 RACE is made of seamless carbon fiber and is a continuous component from the steering head to the swing arm pivot. Compared to the standard frame, it saves almost 9 pounds in weight. It’s not about the looks, rather, its characteristics when it comes to the BMW HP4 RACE's carbon technology. The designers facilitated pre-calculation and incorporated function-dependent torsion and rigidity. As rigid as aluminum, as hard as steel. 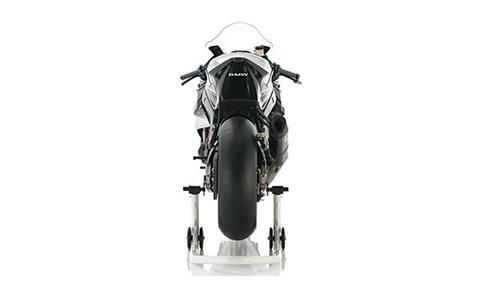 All advantages of the carbon material were fully utilized on the wheels, including their flexibility. PERFECTION RIGHT DOWN TO THE SMALLEST DETAIL: Developed for the racetrack through and through, the HP4 RACE has a self-supporting carbon front that practically devours the headwind with its aggressive splitface with the ram air behind. 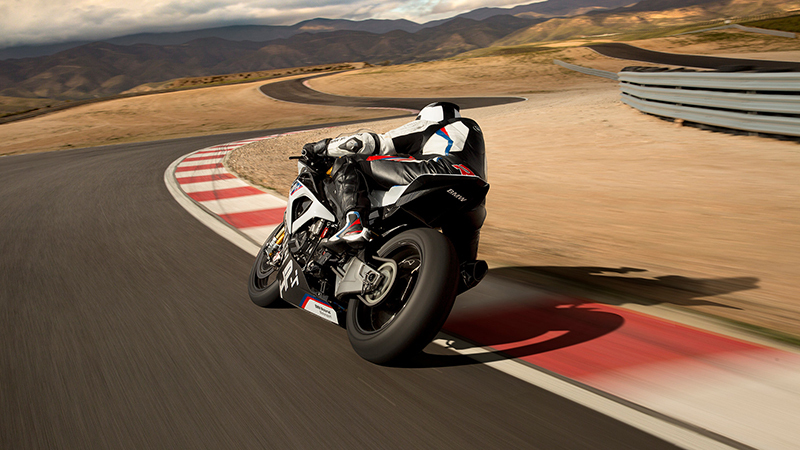 The dome-shaped windscreen offers riders optimal protection and keeps them in the streamline. The perfect interplay between paintwork and carbon material is a highlight of the HP4 RACE, especially when it is at a standstill. A new era is dawning for color too. 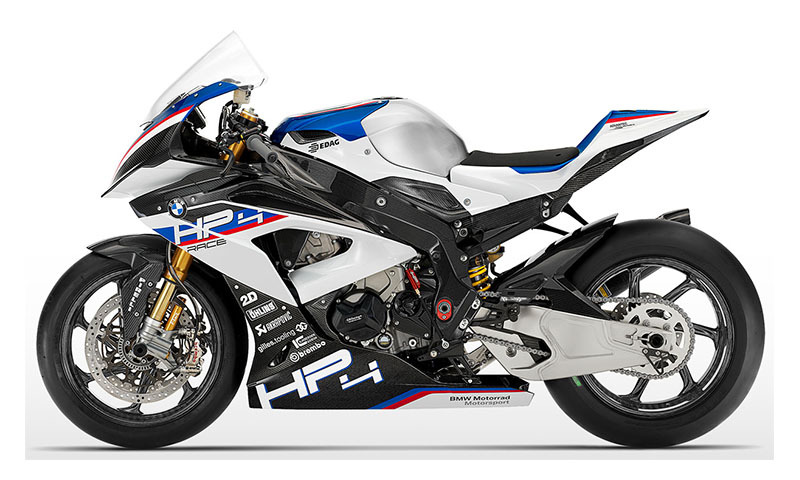 With the HP4 RACE, we present the new HP motorsport colors Light White / Racing Blue Metallic / Racing Red. BUILT BY HAND. 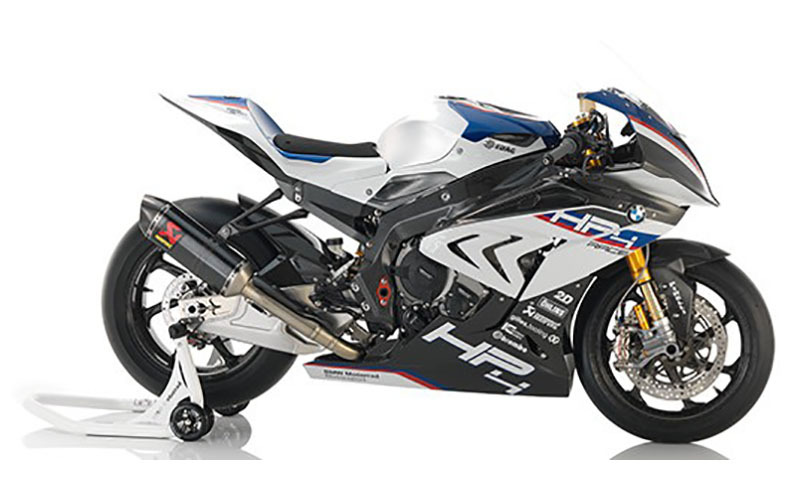 CONFIGURED FOR MAXIMUM PERFORMANCE: Built by hand in Berlin, the HP4 RACE engine is an enhanced version of the engine from the long-distance WM and the World SBK. It produces 215 hp (158 kW) and the maximum rotational speed was increased to 14,500 rpm. The maximum torque of 88 ft. lb. is at 10,000 rpm.The first service, including an oil change, is carried out after the engine has been run in and recorded on the test stand by our specialists. The engine is endoscoped and the control times and valve clearance are adjusted. 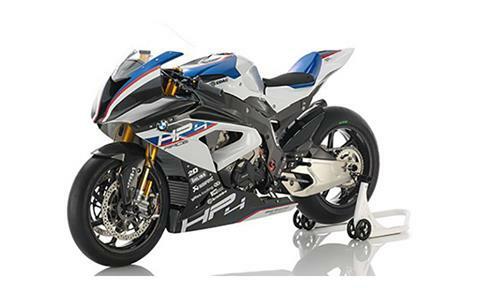 Meaning that the HP4 RACE is ready to reach its full potential on the racetrack right from delivery. SELF-SUPPORTING CARBON FRONT WITH SPLITFACE: Perfect streamlined shape. Hungry for the wind outside the slipstream. 2D DASHBOARD: Everything in view. Whether it is at a standstill, in service mode, or displaying all important journey information at top speed. 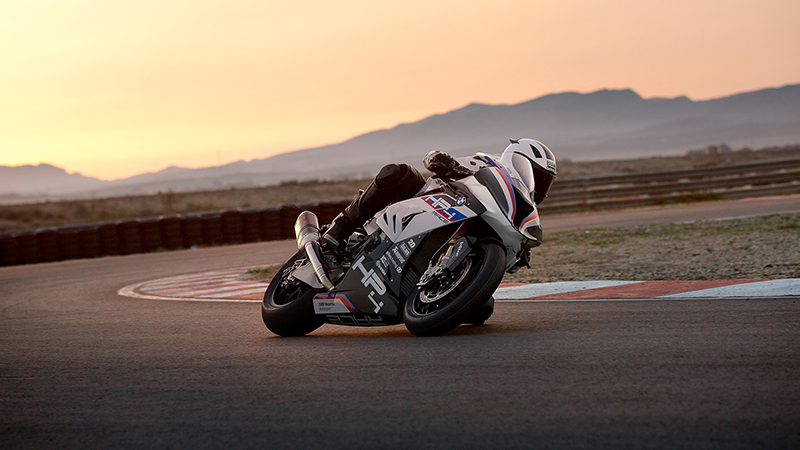 WSBK SWITCH UNIT WITH BREMBO RCS: The interplay between brake disc, brake calliper and brake pads results in a braking performance at the highest level. ÖHLINS FGR 300 FORK: The fork has a particular influence on the riding behavior and rounds off the handling of the HP4 RACE. 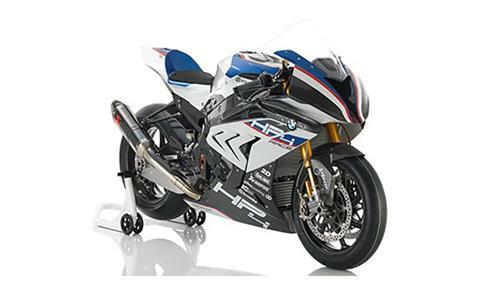 AKRAPOVIC SOLID TITANIUM EXHAUST SYSTEM: A further reduction in overall weight comes in the form of the titanium exhaust system, with its lightweight construction. SELF-SUPPORTING CARBON REAR WITH 2D GPS MOUSE: Everything in its box seat. Minimum weight for maximum functions. BREMBO GP 4 PR BRAKE CALLIPER: The brakes are tailored for professional racing offering impressive stopping power. ÖHLINS TTX 36 GP SPRING STRUT: The strut and swing arm work together to offer optimal adjustment options. Rear Rim - 6.00 x 17 in.